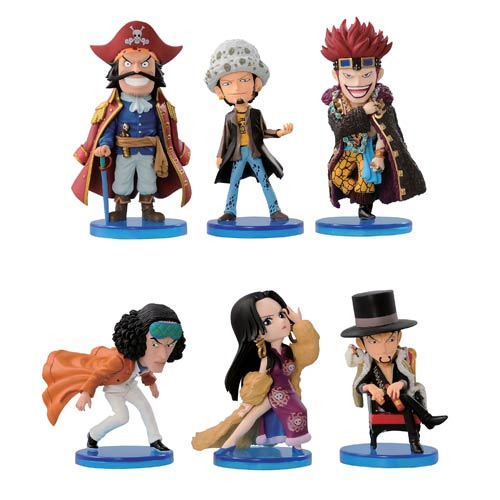 From Eiichiro Oda''s popular anime and manga series, One Piece, comes these One Piece World Collectible Figure Series 1 mini-figures! Your favorite One Piece characters are shown in different outfits and would make a perfect gift for any One Piece fan! Ages 15 and up. Each mini-figure stands 2 1/2-inches tall.